This photograph was probably taken in November 1944. 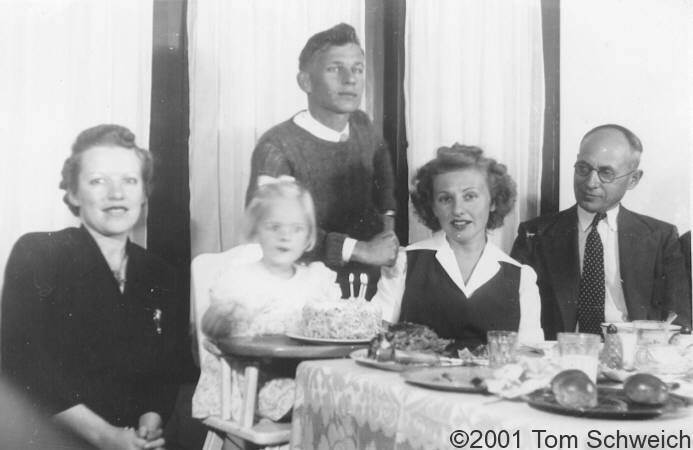 From left to right is: my Aunt Olga, my sister Martha, my Uncle Johnny, my Mother, and my mother's father. Other photos about . or Martha.